There are hotels, guest houses, B & Bs, lodges and caravan sites all within the village boundaries and more beyond. Click here to select the type of accommodation you require and receive the best match for your needs. There are now three hotels in the village serving food all day, the Inn, the Ben Shian and the Munro. In addition, some cold foods, takeaways and coffees are available in the village grocers / post office (beside the A84 close to the start, and 150 m north of Race Registration in the Inn). The beautiful villages of Strathyre, Balquhidder and Lochearnhead (both within a 5 mile radius and both are on the banks of a loch), have a variety of accommodation including Guest Houses, Inns and Hotels, Chalets, Bed & Breakfasts and Caravan Sites. 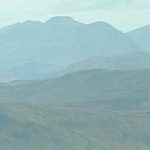 Click here for the Rob Roy Country web site containing request for info for local accommodation enquiry.